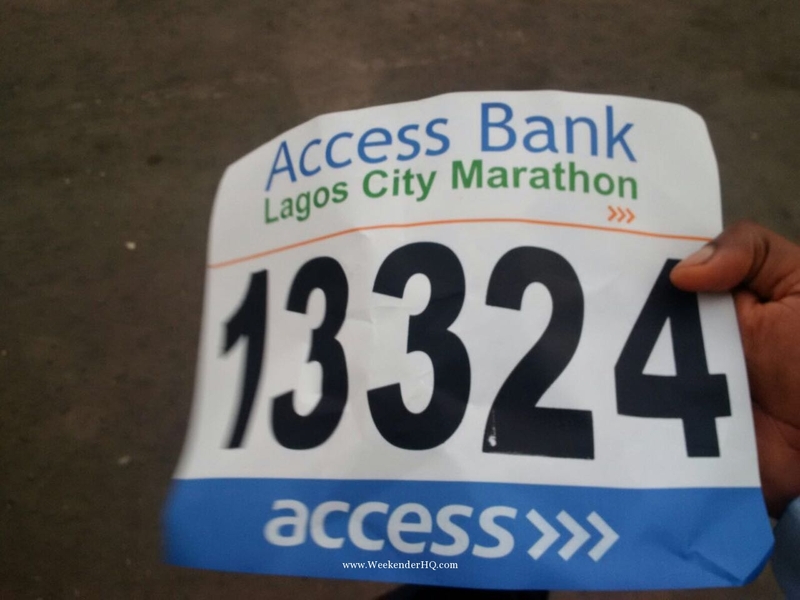 So I decided to run the Access Bank Lagos City Marathon 2016, for 3 reasons; to win the cash prize (In my mind $50K for just 3 – 4hours of ‘work’ on a Saturday, so I thought! ), knock down my belly fat by half as fitness goals achievement and put myself through the zeal of challenging myself personally! On Friday, the eve to the tournament, late afternoon on a lastminute.com steez, I had not yet picked my running kit/tag number from Teslim Balgoun stadium as instructed upon registration, and if I’m correct they probably stopped issuing them officially on Thursday, but hey, I thought I’d fluke it though. So I drove and parked somewhere in Lagos Island, it was rush hour period and I needed to make my way to the mainland and back, sharp! sharp!! just to pick up my kit. I had heard good things about Lagos BRT the efficiency, dedicated BRT queuing lanes, air conditioning system and TV display. I jumped unto a ‘Keke’ to TBS and from TBS I stuck to a moving straight-line queue for about 20 mins before picking a BRT ticket to board a bus heading to the mainland. It was a smooth ride till I dropped off at Stadium, so yes, BRT was on-point! Luckily I picked up my kit, left Stadium back to TBS, smooth and excellent journey with very pleasant passengers to direct me on how best to drop-off, journey time was pretty much 10mins. Reconnected to my car and drove-off to ‘100 Hours’ on Awolowo Road Ikoyi to drink some pepper soup, as I had being feeling quite poorly with fever, sore-throat and catarrh and was currently on some medication, but needed something spicy remedy to shake me up as I was hesitant to back down on my marathon experience the next morning. I slept for about 5 hours and woke up 5:30am prepped up but nearly made the mistake of thinking the race kick off was 7.30am but rather it was 7am. So I grabbed a taxi from VI and got to the stadium for 7.04am, lucky enough to make it on time despite lots of diversions and light traffic jams due to the tournament. 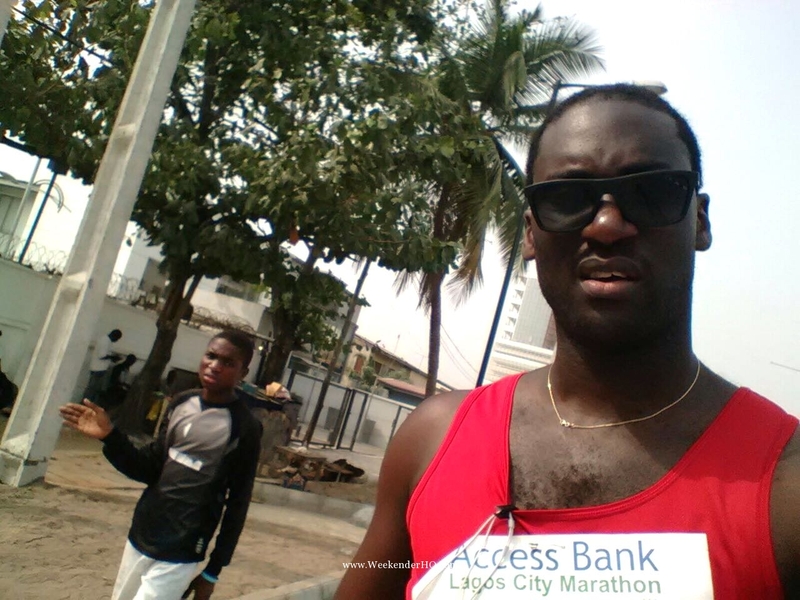 Quickly found myself amongst the crowd of racers at the Access Bank Lagos City Marathon trying to get myself together then by 7.08am the ‘peoples governor’ turned up! I give it to him, he came with charisma, the masses seemed to love him! Just as he arrived was Olamide’s, ‘I love Lagos’ track being played on the background to welcome HE Governor Ambobe. Trust the crowd and more so the area-boys to go hysterical, the Ambode and Olamide synergy made sense!!!! Gov. Ambode was roughly 30 yards away from where I was, smiling and waving gleefully. 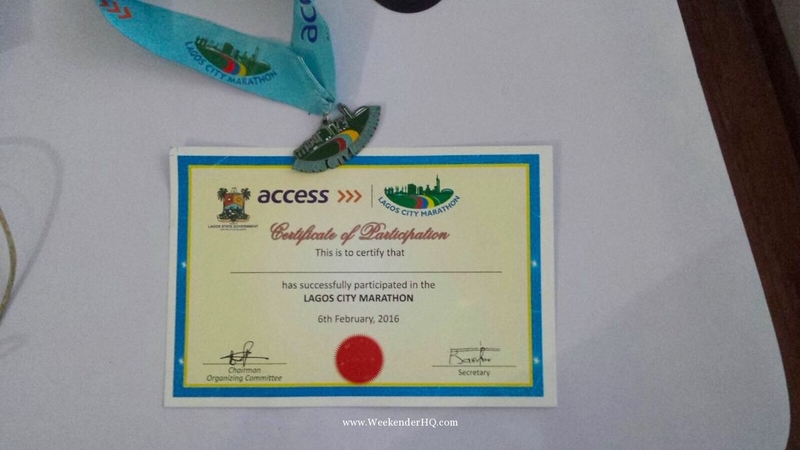 He was pulling off the first Lagos Marathon in over 30 years and a way to showcase Lagos at its best and as a global city worthy of recognition. We kicked off the race at 7.10am. Sincerely, I never really trained for this race, however I felt with my active 7 weeks of Saturday basketball and football would have conditioned me for it but alas it was not the case , as I was on slow paces of jogging and walking. I probably ran the first 10KM before my slow paces kicked in. Upon approaching the 3rd mainland bridge I had then received a call from family that the leading athletes were now approaching Bourdillon Ikoyi, chineke mei!!!!! Who send me message..sha! At that point I felt like giving up on the whole race. Sometime before 10am I received a whatsapp message from a friend showing me a picture of Kigtom crossing the finishing line, game over, there goes my $50K, means I have to hustle hard from other ventures! Lol! My journey on 3MB was a long and tedious one for me, my legs were terribly sore I had incurred some blisters. 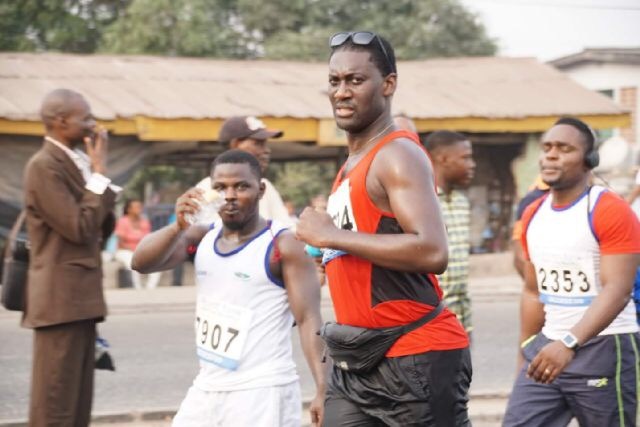 Whilst on the race, from mainland Stadium on Ikorodu road to the Eko Atlantic City, the finishing point, the level of hospitality demonstrated by Lagosians was phenomenal, people turned up en-masse to show support and encourage us athletes, it was a delight to witness parents with young kids encouraging us, to the area boys entertaining us with comedic antics, some offering free pure water sachets to the elderly Mama who hawks on the streets offering some give away items to refresh ourselves to the paramedics, police, LATSMA operatives, emergency services, helicopters, drones, to the LAWMA cleaners to all the tournament volunteers, BRT operators name it. 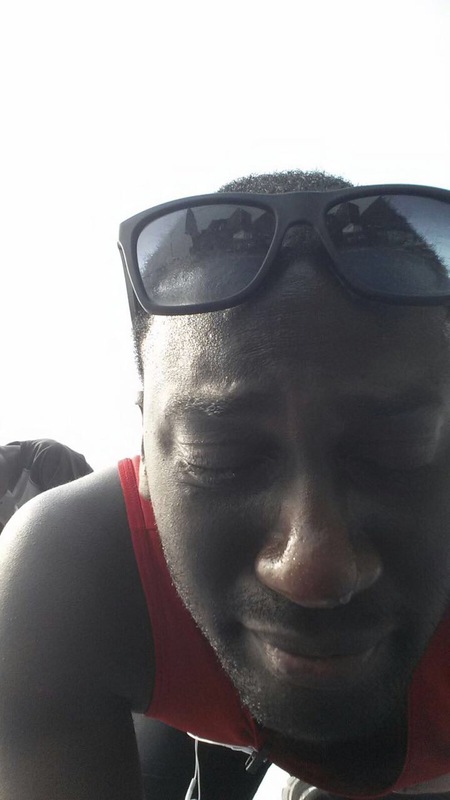 Lagos was fully turnt up!!!! She showed true hospitality, which was very heart-warming, emotional and endearing. Gov. Ambode’s plan to showcase hospitality and promote tourism in Lagos is working and also promoting Lagos’s true diversity, culture and peace! Lagos at its best, in my own opinion. 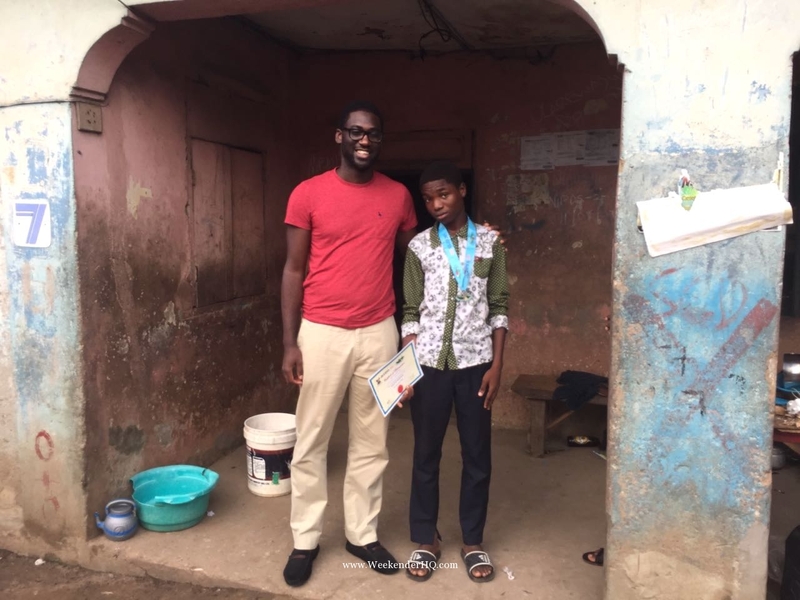 On the race, I met Joshua Akinsadomi, a young 15 year old student of Timi Comprehensive Secondary School, Itire, Surulere, did not register for the marathon, but heard it has kicking off not too far from his neck of the woods in Itire. Joshua, was an inspiration to me during the race. 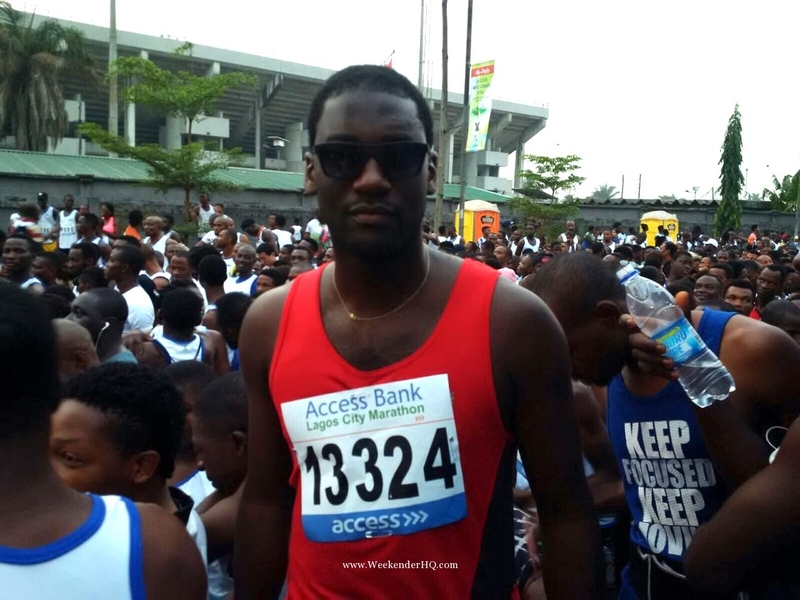 I first bumped into him whilst tired and slow paced on the Ikoyi/Bourdillon road of the race, probably at point 30 km. I had stopped to buy some water but didn’t notice properly that he tried to buy as well but with insufficient funds. Next thing I knew, was him trailing me and stopping/slowing down at every point I did before it dawned on me that the kid wanted some of my water as well. I felt really bad. I shared my drink with him and from then onwards we became race buddies and got talking. 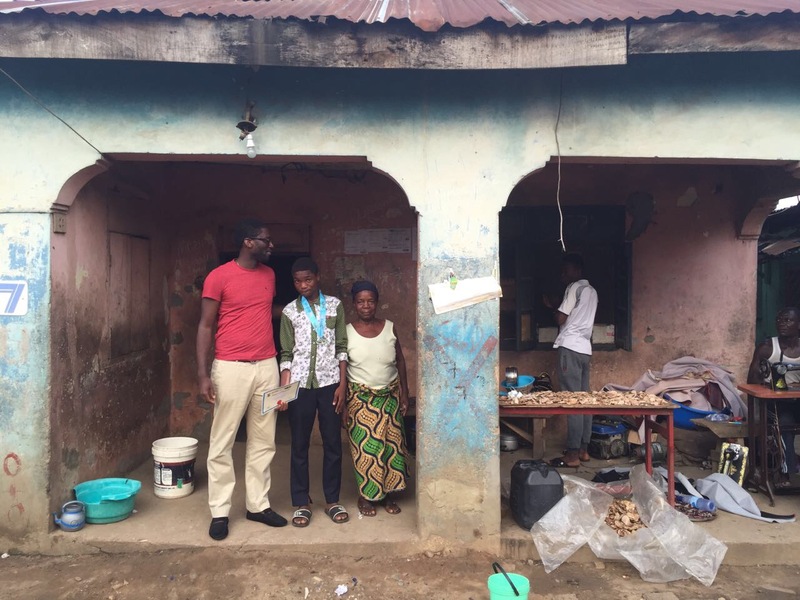 Joshua told me he had lost his dad at a very young age and his mother had abandoned him into another marriage. He was currently living with his paternal grandmum and aunt. 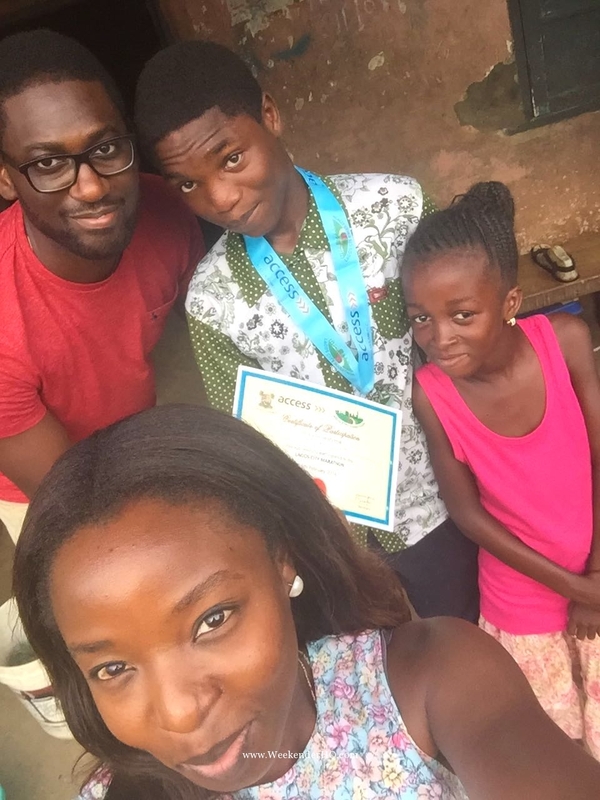 He mentioned he was aspiring to be a medical doctor and he was good in science subjects including maths, he admitted he was a top grade student. I asked why he was in the race and he mentioned he wanted to build more stamina for his beloved football games, which he plays as a midfielder. Josh ran this race without the knowledge of his grandmum, and he had no phone on him either to communicate. In any case we supported and encouraged each other to the finish line. Never compromised on our route whilst being tempted to give up. We resorted to walking for a good 3 hours due to the unfortunate aches, pains and blisters. Josh kept encouraging us to keep going when I felt like giving up. Even at the time no other athletes were either ahead or behind of us, drivers, passer-by’s kept telling us to give it up, that the race was over!!! 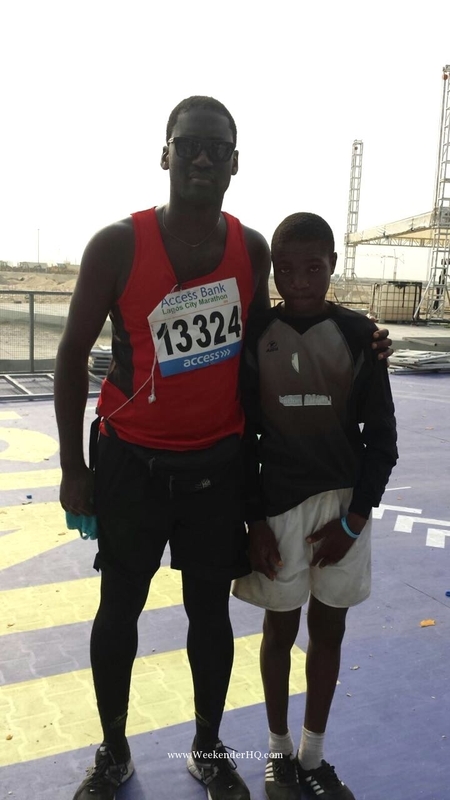 When we got to the finish line in Eko Atlantic City, at 4.20pm exactly where we met an empty venue, no single official to welcome us, rather a bunch of event technicians dismantling the event stage and unbundling their equipment’s into their vans. We were told we are clearly the last of the athletes!!! I was filled with emotional tears…the physical pain it took for me to complete 42km in 9 hours 10 mins, the last of all the participants, meeting Joshua, a poor underprivileged 15 year old kid who was soft spoken calm and an encourager to me but yet had no one checking up on him over the phone, to see how he was getting on etc. yet I had my loved ones including my aged parents buzzing my line every hour to check-up on me…as it was a big deal for them, lol. I was deeply reflective of that sense of gratitude I felt for the little I had or have achieved, I felt that people like Joshua need to be supported and encouraged too, to achieve their dreams and aspirations in life. I was reminded at that moment that there are so many Joshua’s out there who were longing for a sense of purpose, achievement and compassion given their backgrounds and circumstances. Few days later I was in touch with the race organisers and requested that they provide participation medals and certificates to both myself and Joshua, which they obliged. I had told them about the young kid, his story and determination to run the race and how he had been an encouragement to me during the race and ensuring we completed it together. We were asked to come the following weekend to the Stadium to collect medals for those who did collect on race day. 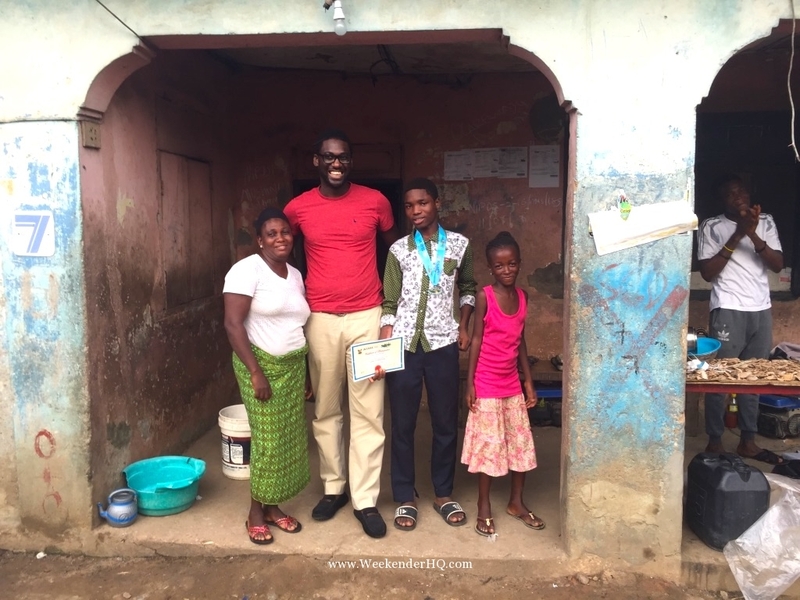 Unfortunately, Joshua couldn’t make it, but I collected on his behalf and went over to his 1 room home in Itire to present to him and meet his family. Whilst Kigtom might have won the race with a $50K price tag I felt I had won a friend and brother whom I felt a sense of commitment towards, for him to achieve his dreams. Kudos to Lagos state government, Access Bank and other event sponsors; Lagos is a beautiful city to which I hold so much sentiments with, I believe we should all learn to be compassionate, contribute towards humanity. Help those in need and help make a difference in someone’s life. My race reflected that in me!!! My 42km journey in 9 hours 10 mins reminded me of the essence and virtues of humanity, the ability to challenge yourself and the power to inspire others! Joshua and I turned out to be the last men standing!!!!! All the best to this Saturday’s marathon athletes, hopefully Joshua and I would probably be on the sidelines to cheer you all. Very very inspiring indeed. Welldone Kelechi! 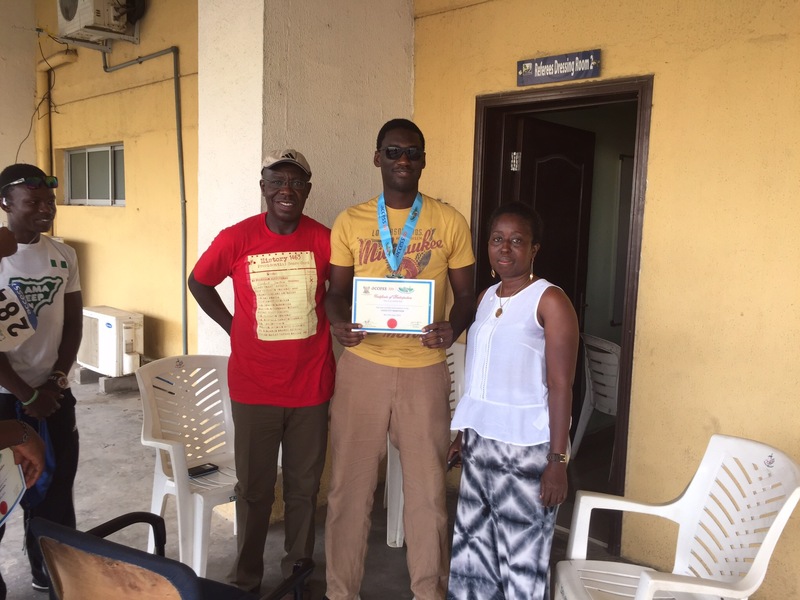 Well done Kelechi! This is such a great and inspiring story .. and I’m really glad you found Joshua afterwards 🙂 God bless you! 5 Tips For Enjoying Travel Without Worrying Too Much About Money Love locks around the world – Romantic or Absurd? !